Ray White Commercial (QLD) is pleased to release the latest SEQ Vacant Land Market Report for the 2015/2016 financial year. 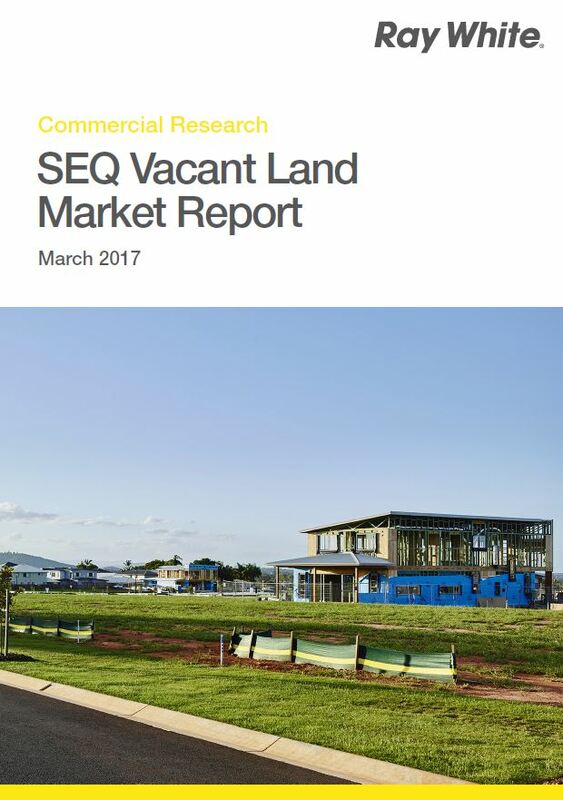 This report provides an in-depth look at the South East Queensland vacant residential land market, and has been developed in order to provide an insight into this unique and complex sector. This report can be read in conjunction with our region specific reports, with data being sourced from the Queensland Government Statisticians Office. It has been created by Ray White Commercial Research in partnership with Ray White Special Projects (QLD) and Ray White Land Marketing QLD, who together have over 30 consecutive years’ experience in the South East Queensland Residential Land Market.